We have already written about the defection of Deputy Ambassador to London, who together with his family resided in the UK for about 10 years and was engaged in propaganda, ranking second after the Ambassador. KCNA declared him a crook and demoralizer, who, since he was facing a dressing-down on his return home, decided to flee. Experts considered that the diplomat, whose two children have grown as Europeans, did not want to take them back home to the daily allowance and political studies; was cast by anti-Pyongyang propaganda as someone who had ‘chosen freedom’; and eventually Thae Yong-ho arrived in Seoul, becoming the most senior North Korean diplomat, to defect to the South. However, life is also not all milk and honey in the South. Since the number of defectors is increasing and the attitude to them has changed, it is necessary to attract a lot of attention to yourself in order to lay claim to a wide package of social benefits. The media has enough materials about how difficult they find it to adapt in the South and that they are considered second-class citizens there. One of the few ways to get more is to actively participate in propaganda against the North Korea, telling the public not so much what is really going on, but what is desired to be heard. And as the competition is high, it is necessary to tell something particularly terrible and become the author of an ‘exclusive rumour’. 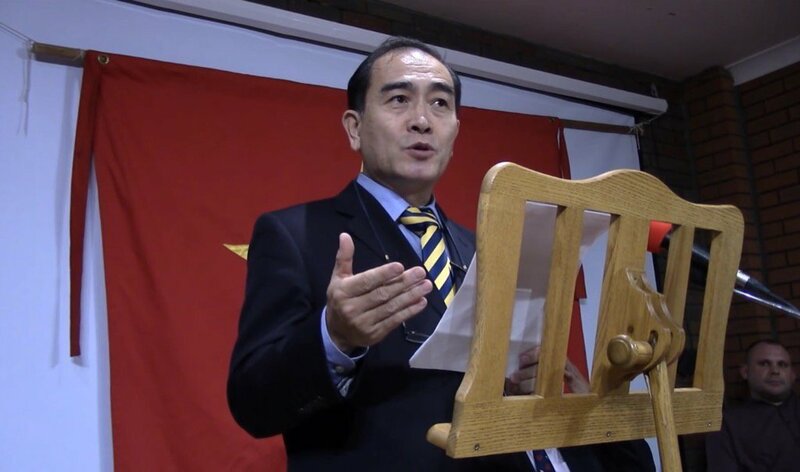 So, Thae Yong-ho, first spoke at a closed meeting of the Parliamentary Intelligence Committee, and then had a number of meetings with journalists, where he spoke about the proper horrors and “promised to devote himself fully to the struggle for the promotion of human rights and democratization in North Korea.” This wording is very interesting from the point of view of what image of the DPRK its enemies are trying to present to the world. Thae Yong-ho talked about almost all the hot topics, immediately confirmed the main propaganda that North Korean people have long been complaining and secretly dream of democracy; therefore the regime and Kim Jong-un personally greatly fear the penetration of information from outside, monitoring all and sundry. Thus, the Minister of People’s Armed Forces Hyon Yong-chol who disappeared back in the day was not just shot “as it turned out”, but executed for having allowed himself to make careless statements in his own house. 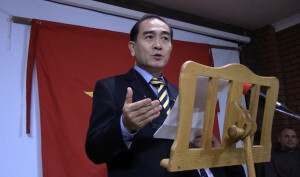 According to Thae “external information is strictly controlled”, and “even the Deputy Chairman of the Organization Department of the Party does not have the right to be in the room at the Foreign Ministry where CNN news may be watched.” However, in a later interview, he said that DPRK diplomats are so incompetent that they get information about the world from the South Korean news. Are these mutually exclusive paragraphs? No, I have not heard so. The main thing is that “all overseas DPRK representatives watch South Korean news,” and the popularity of South Korean cultural content that comes through China is growing among the North Korean population. Of course, they watch it at night ‘under the blanket’; that is how Thae Yong-ho ‘creates’ a picture of dissident intellectuals that is comprehensible for the West. And those who do not watch often drink alcohol too much being unable to speak out. Thae Yong-ho has not commented on the marked improvement in living standards in recent years at all but has called the young leader’s regime ‘the rule of terror’. It turns out, all public events are held surrounded by the military with machine-guns pointing at the crowd. An authentic Hollywood picture taken from South Korea of Syngman Rhee’s days where voting stations were really at gunpoints during the presidential elections ‘in order to avoid instances of disorder’. Well, it’s a very competently put out feeler: make me a living example that a defected diplomat would not have to work as a loader at the fish market. It was impossible to avoid the nuclear topic as well, and although Thae Yong-ho admitted that he has no precise information on Pyongyang’s nuclear program, his statements were very brave and timely: Pyongyang considers 2017 to be the most favourable time for development of its nuclear program as there will still be political instability in Seoul that will result in pre-term presidential elections and the process of power transfer will be ongoing in Washington. Kim Jong-un will not abandon its nuclear program; the next nuclear test could be timed to coincide with the presidential elections in the ROK or the very beginning of the new US administration. 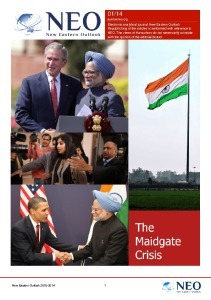 Kim Jong-un will do everything to have his country recognized as a nuclear power like Pakistan or India. And in general, according to Thae Yong-ho, “it is impossible to lead dialogue with the bloodthirsty tyrant constantly preoccupied with the growing gap between the South and the North in terms of economic and military development. After all, the North Korean military exercises regarding an attack on the residence of the ROK President by military units of Kim Jong-un originate from the maniacal desire of the North Korean leader to destroy ROK.” Therefore provocations should be expected and if they don’t happen right away, do not delude yourself as they are just lulling you into a false sense of security. A further ‘sensation’ which seems simply ridiculous to the author of the Article: Kim Jong-un intentionally conceals the date of his birth because he fears looking too young; however, everyone in the country knows that the leader was born on January 8, 1982 or 1984. “Kim Jong-un has to lead over a number of officials who are 30-40 years older than he; and if his age floats to the surface, would not they think that he is young enough to be their younger brother?” That is why the leader’s birthday has not yet been celebrated as a national holiday. The problem is that the reason for this lack of celebrations is well known. Kim Jong-un considers that his achievements are not yet equal to his father’s and grandfather’s; and therefore has not particularly adorned himself with titles limiting himself to just “Dear Respected Comrade” or “Marshal” and does not celebrate his birthday nationwide, although the name for the future holiday (‘Galaxy festival’) is pretty well known. However, if Kim Jong-un started celebrating it, Thae Yong-ho and others would have interpreted this as a clear sign of delusion of grandeur, adherence to the personality cult, or something similar to that. Well, the requests have been heard: as JoongAng Ilbo reported, on January 2nd Thae Yong-ho started to work at the Institute for National Security Strategy of Korea, which is the research unit of the security service. Only those who have a good knowledge on the situation in North Korea, and previously worked at prominent positions in North Korea, are taken to work there. Speaking on a South Korean show, in his new position, he offered a plan to crush the North Korean regime with information warfare, once again telling the story that almost everyone listens to South Korean programs, no one desires to defend the regime, and all that’s needed is to increase the pressure and a revolution is dead cert. He also stressed that reunification should not be expected, but prepared for, and that North Korean people need foreign assistance. 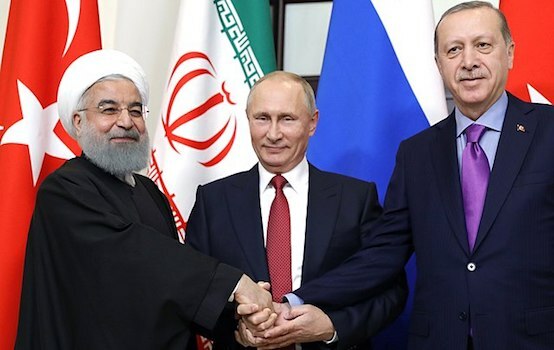 Here the author just wants to remind the circumstances in which revolutions take place, and which ‘essential ingredients’ are lacking in North Korea; therefore the former diplomat, it may be said, is openly calling for the external intervention. So, the story of Thae Yong-ho is a good example of how this high-ranking defector first read from notes, voicing the ‘facts’ that are far from reality in order to preserve his status; and then transforms from Saul to become Paul, just as it was in Russia, when a whole number of ideological front men immediately transformed from being furious communists into no less furious anti-Communists after the Collapse of the Soviet Union. I would like to note that this is not the only example of such a transformation.